Distracted driving is a well established problem, so much so that many states currently have bans in place when it comes to using technology while driving. But the problem of distracted walking is a relatively new one. Each year, more and more people are injured as a result of texting, talking or listening to music while on their cell phones. And while we might laugh at the woman who falls into the fountain while texting, or the man who walks into a wall while texting, the problem of distracted walking is a very real and serious one. According to data from the National Highway Traffic Safety Administration (NHTSA), nearly 5,000 pedestrians were killed and an estimated 76,000 injured in traffic collisions in the United States in 2012. That’s one death every 2 hours and an injury every 7 minutes. While it’s not clear how many of these are a direct result of distracted walking, the total rate of pedestrian fatalities compared to overall road deaths is getting worse each year. The issue has become such a problem that some towns, such as Fort Lee, New Jersey, have banned texting while walking. If caught texting while jaywalking in that town, violators face an $85 fine. In London, England, some lamp posts have been padded in order to protect the large numbers of people using their mobile devices while walking. Even New York City has lowered the speed limit in some areas as a way to help cut down on the number of pedestrian injuries. Arkansas, Illinois, and New York have all tried unsuccessfully to ban using a mobile device while walking. In 2008, more than 1,000 people were injured seriously enough to seek medical attention at the emergency room as a result of texting and walking – double the year previous (which was double the year previous as well). A study published in 2012 by researchers from New York’s Stony Brook University found that those who texted while walking were 60 per cent more likely to veer off line than non-texters. Scientists call the phenomenon “inattentive blindness,” saying that the human brain has evolved to only be able to adequately focus attention on one task at a time. So when you’re texting or talking on the phone while trying to walk, you cannot give your full attention to both tasks. “We were surprised to find that talking and texting on a cell phone were so disruptive to one’s gait and memory recall of [a] target location,” wrote Eric M. Lamberg, PT, EdD, co-author of the study and Clinical Associate Professor, Department of Physical Therapy, School of Health Technology and Management, Stony Brook University. When Safe Sound Family analyzed the data in the Consumer Product Safety Commission’s (CPSC) National Electronic Injury Surveillance System (NEISS) – which estimates the number of injuries nationwide based on reports by 100 participating hospitals – we found that there were nearly 5,000 estimated cases of injuries caused by phones and phone accessories that occurred on roads or highways and in other public places (not at home) that were treated in hospital in the United States in 2013. The number of actual injuries caused by distracted walking is bound to be quite higher than this, as the data from the CPSC only looked at those injuries which resulted in medical treatment at a participating hospital, and minor injuries were likely treated at home or another medical treatment facility not included in the reporting data. There is also the stigma and shame associated with reporting an injury in which one is partially at fault, and so some people may not have been upfront with the fact that they were using a mobile device when their injury occurred. It’s not just texting while walking that’s a problem. 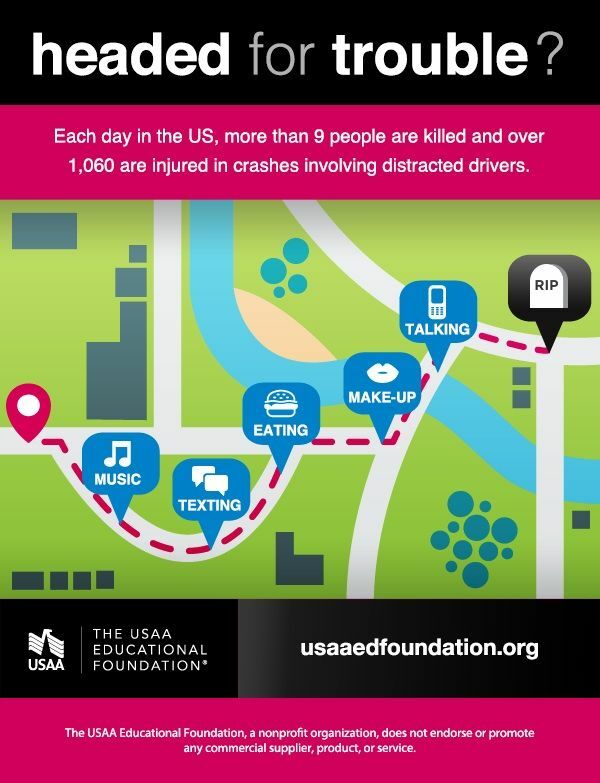 Talking, checking email, using social networking apps and even playing games all contribute to the problem of distracted pedestrians. According to data via the National Highway Traffic Safety Administration, the highest percentage of pedestrian deaths relative to all traffic fatalities occurs in New York City (51%), Los Angeles (42%) and Chicago (30%). After years of decline, pedestrian deaths have started to increase since 2009, and while there’s no reliable data directly related to cell phone use, experts speculate that the increase is due in part to distracted users on their cell phones while walking. “We are where we were with cellphone use in cars 10 years or so ago. We knew it was a problem, but we didn’t have the data,” Jonathan Akins, deputy executive director of the Governors Highway Safety Association, told the Associated Press in 2012. Researchers from Ohio State University found that young people (under the age of 25) are more likely to be injured while on their cell phones, and men are more likely than women to be injured while using a mobile device. Their statistics showed that talking on the phone made up about 69 per cent of injuries, while texting only accounted for about 9 per cent. “If current trends continue, I wouldn’t be surprised if the number of injuries to pedestrians caused by cell phones doubles again between 2010 and 2015,” said Jack Nasar, co-author of the study and professor of city and regional planning at The Ohio State University, in a 2013 release. One of only a few studies focusing on the issue, it found that although pedestrian injuries overall had dropped, ER visits tripled between 2004 and 2010 for pedestrians using cell phones. No doubt as more data is collected on the issue, the numbers of those affected by distracted walking will continue to rise. The solution to distracted walking is a fairly simple one: do not use your cell phone or engage in other distracting activities while walking. Focus solely on the task at hand – getting from point A to point B in one piece and worry about checking in once you’ve safely arrived. If you simply cannot wait to take that phone call or check your email, one way to avoid potential issues associated with using tech while walking is to hold your phone up higher in your visual field so that you can see any potential risks as they come. Ensure you cross the road at crosswalks or signalized intersections and obey your traffic signals. Another solution for avoiding problems is to take frequent breaks while you are using your device and walking – looking up every few seconds to assess your surroundings will help increase your safety. Using softwares that read out messages to you, and voice recognition typing so that you can give commands with your voice instead of having to continually look at your screen can also help. And just as there’s an app for everything else, there are apps designed to help those texting while on the go – Type n Walk is available for $1.19 in the iOS App Store and the free Walking Text from the Google Play Store are just two such apps available for this purpose. If you’re using headphones, ensure the volume is at a reasonable level so that you can hear any potential dangers and alerts before they become an issue. You can also keep just one earbud in so that you can still have a decent level of hearing ability. It should also be noted that noise-cancelling headphones should be a no-no while walking so that you can still be aware of your surroundings. Finally, start the safe device use education process early. “If you must talk or text, pull out of the stream of pedestrian traffic and stop walking while doing it. If you’re a parent, just as you teach your children to look both ways before crossing a street, teach your children not to use their mobile devices while walking or driving,” Nasar said. This goes for both pedestrians and vehicular traffic, but not obeying traffic signals is another major area for concern when it comes to pedestrian safety. Many a driver has been frustrated after a pedestrian has begun crossing the road when their signal says not to. You’ll even see people trying to cross when the light is not in their favor. No matter how late you are or whether or not you think you can make the light, if the signal is not in your favor, do not begin crossing. Failure to yield on the pedestrian’s part accounts for about 15% of pedestrian fatalities, according to data from the National Highway Traffic Safety Administration (NHTSA). As for vehicles, aggressive drivers will often disobey their lights as well – speeding up to run through yellows when they should be slowing down; trying to get ‘just one more’ through on a left hand turn; or the ‘rolling stop/turn’ on a right led or at a stop side. All of these behaviors put pedestrians and other drivers at risk of serious injury or death. Jaywalking, or crossing the road where there is no intersection or crosswalk, is another leading cause of pedestrian injury. Cross where appropriate in order to avoid injury and whenever possible, walk on a sidewalk – if a sidewalk is not available you should walk on the shoulder of the road facing traffic so that you can clearly see oncoming vehicles and they can see you. Data from the NHTSA has found that crossing at improper places accounts for approximately 30% of pedestrian fatalities. Walking, playing, working, etc., in the roadway also accounts for 25% of fatalities. 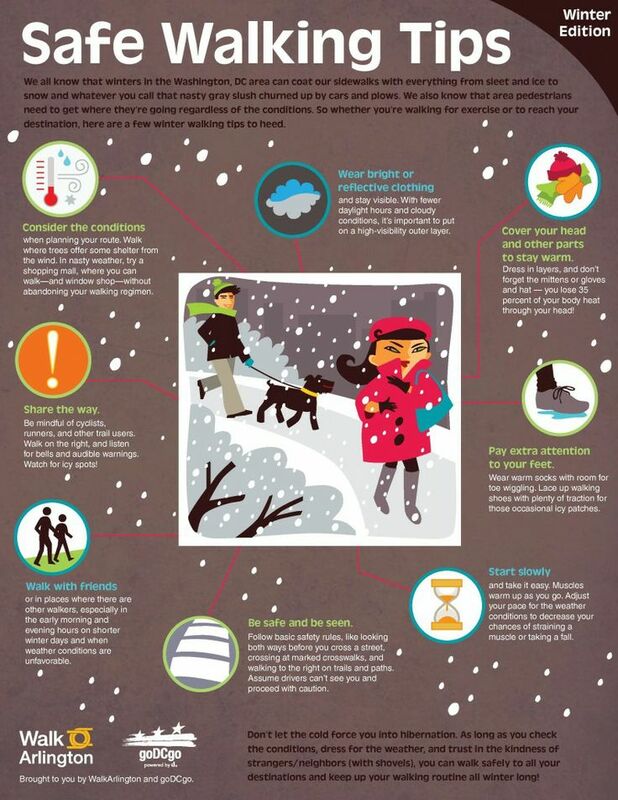 It can be difficult for drivers to see those walking at night or in inclement weather. When possible, wear light-colored clothing and walk in well-lit areas. Carry a flashlight, wear a headlamp, and wear reflective clothing for added visibility.